Prof. Mona Jarrahi, Dr. Nezih Tolga Yardimci, and Prof. Aydogan Ozcan are awarded a 2017 UCLA Innovation Fund. 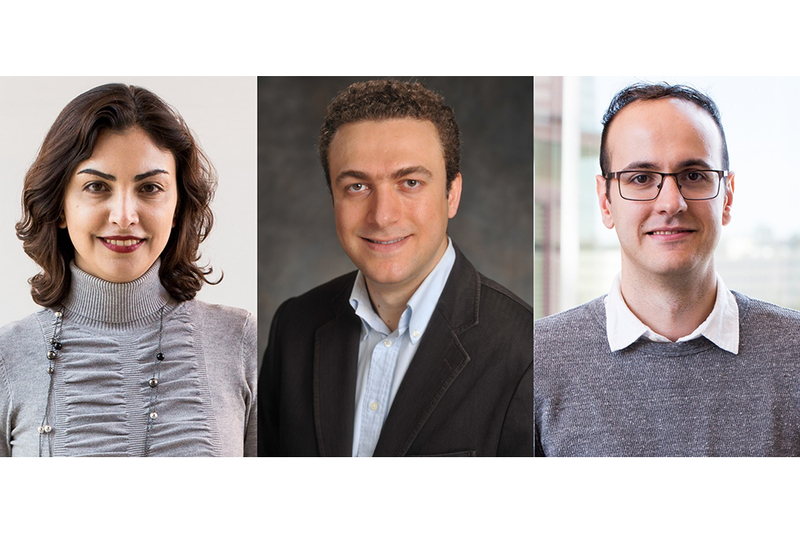 Prof. Mona Jarrahi, Dr. Nezih Tolga Yardimci, and Prof. Aydogan Ozcan are awarded a 2017 UCLA Innovation Fund, in collaboration with Prof. Alireza Moshaverenia from School of Dentistry, for their work on terahertz imaging systems for nondestructive quality control of medical implants. The UCLA Innovation Fund competition was created in 2017 with a singular mission to bridge the gap between academic research and industry/venture capital interests to quickly bring new technologies from the lab to the market. The UCLA Innovation Fund is a collaboration between UCLA Health/David Geffen School of Medicine, UCLA Henry Samueli School of Engineering & Applied Science and the UCLA College’s Divisions of Life Sciences and Physical Sciences. The first competition was focused on novel therapeutics, medical devices/diagnostics and digital health.